Our four-legged friends love a trip to the beach just as much as we do. From tiny, deserted coves to huge sweeping expanses of golden sand and rugged shingle-covered shores, you’re rarely far from a beach in Cornwall. 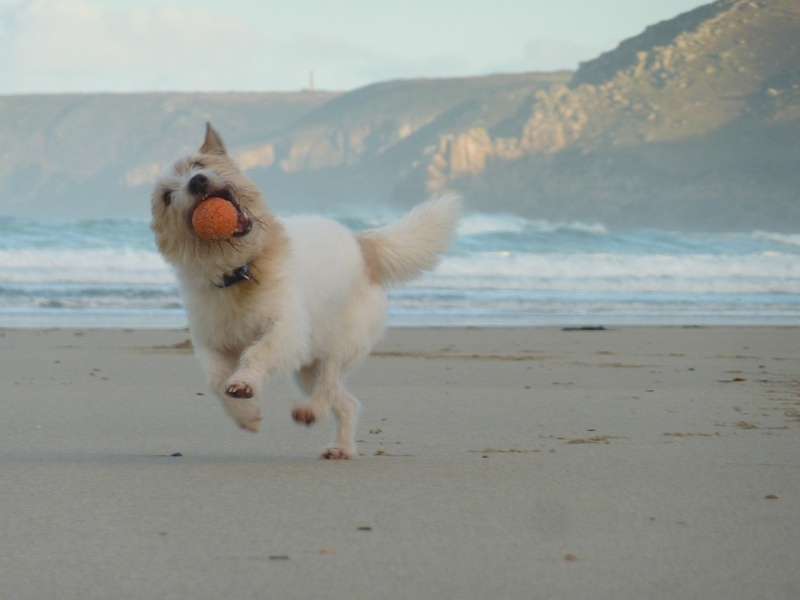 While some of Cornwall’s beaches have a seasonal dog (usually from Easter – 1 October), there are plenty of dog friendly beaches you can visit all year round. With over two miles of golden sand, Perranporth is doggy paradise. If you fancy stretching your legs a little further there some stunning walks nearby along the coastal path. You’ll find parking close to the beach, plus a variety of shops, cafes and restaurants. Top tip: check the tide times before you visit – at high tide much of the beach is covered. A short drive from Bosinver will take you to Porthluney Cove, a lovely sandy beach which is part of the Caerhays estate. There’s a large car park right by the beach (parking charge May – September). Lantic Bay is a small beach east of Polruan with pebbles, shingle and sand. Park in the National Trust car park at Polruan, then follow the path down to the beach. Another lovely beach right on our doorstep! Two miles south of Mevagissey lies Gorran Haven. It’s a great starting point for walks along the cliffs – try heading south to Dodman Point. The beach is safe for swimming, making it ideal for a day out with the whole family. A sheltered, sandy beach on the Camel Estuary, bordered by dunes. It’s easily accessible with parking right next to the beach. Make sure you leave enough time for walkies – there are some fantastic walks in the area that you and your dog will love. Top tip: Pop into St Enodoc’s Church, where poet John Betjeman is buried. Nestled in amongst the sand dunes, this pretty church is well worth a visit. Tails will be wagging at the thought of a visit to Par Sands! Just a short drive from Bosinver, Par Sands is backed by sand dunes and stretches for over half a mile. At low tide, there’s a vast expanse of golden sand where your dog can run. There’s a car park right next to the beach, plus a shop, café, pub and toilets. 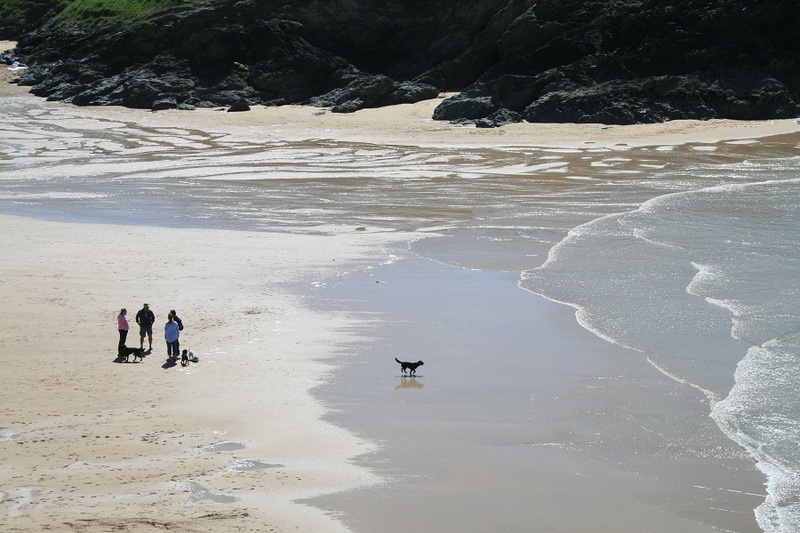 For more suggestions for dog friendly beaches and to check which beaches have a seasonal dog ban, download the Cornwall Visitor Guide for Dog Owners from Cornwall Council. If you’re already looking forward to your next holiday with your canine companion, why book an autumn break in Cornwall? Autumn is a great time to explore the Cornish coast. 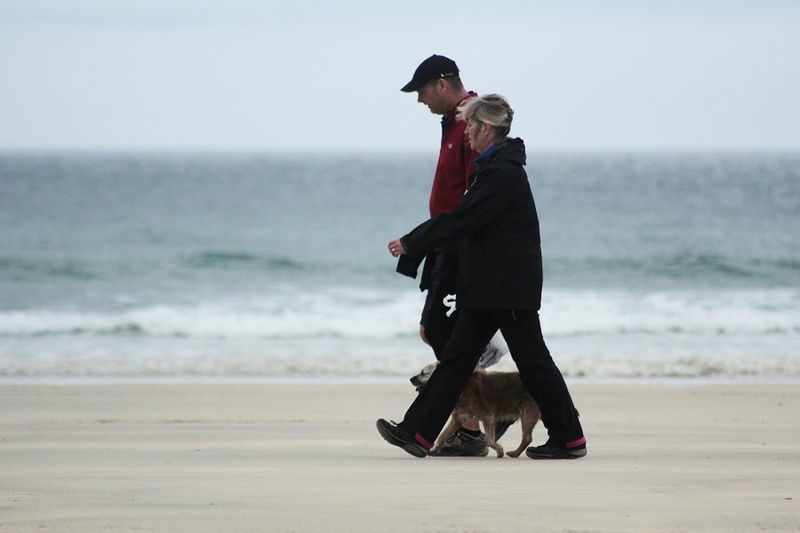 After 1 October, dogs are welcome back to most of Cornwall’s beaches. And not only are the beaches less busy than at the height of summer, the water’s also warmer – perfect for a dip with your pooch. We love having well-behaved dogs to stay at Bosinver – and we know how much they love it here too (cue much tail-wagging). Several of our award-winning self-catering cottages are dog friendly (look out for the paw symbol on the cottage pages). And with 30 acres of meadow and woodland to explore and heaps of great walks on our doorstep, Bosinver really is doggy paradise. 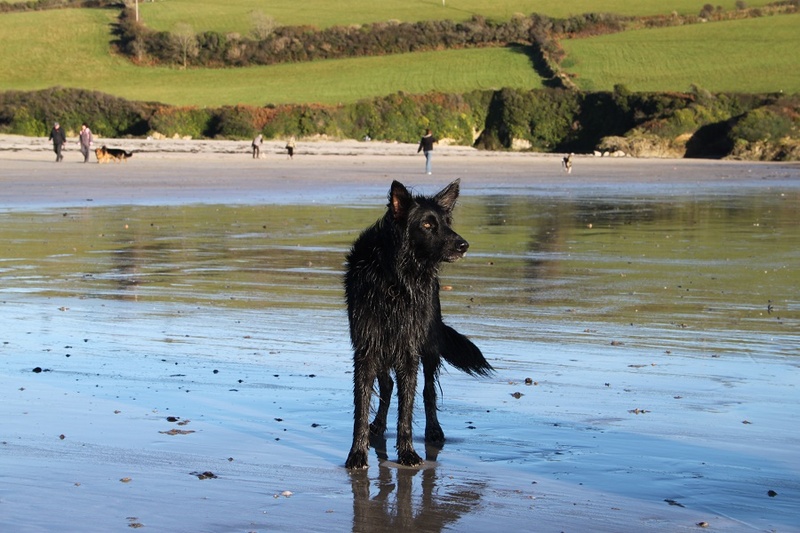 Find out more about dog friendly holidays in Cornwall at Bosinver. Have you and your pooch discovered any other dog friendly beaches you’d recommend? Share your suggestions below, tweet @bosinver or post on our Facebook page.